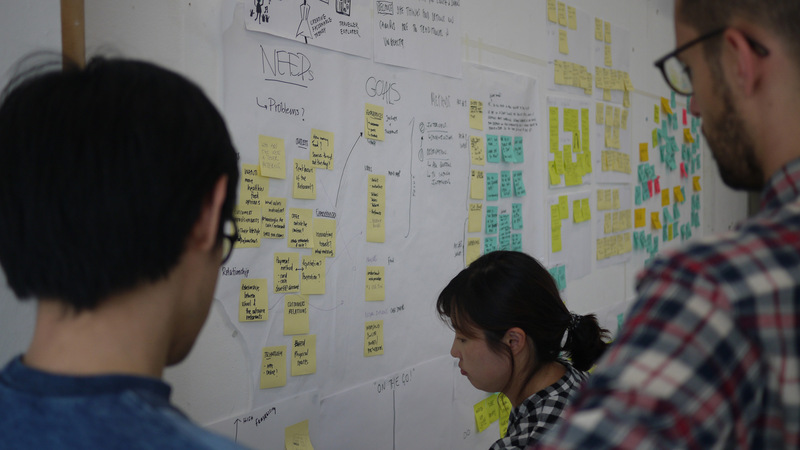 Service Design for Organizations is a three-day design thinking workshop that will teach you the mindset and ways of working needed to create innovative customer and employee experiences. 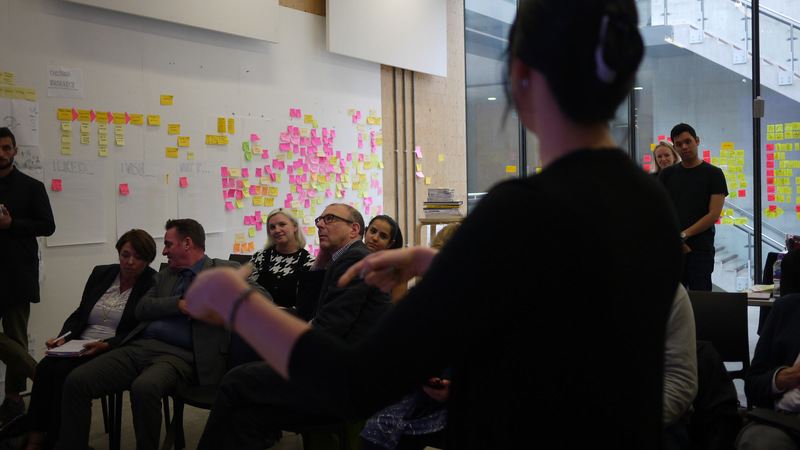 Service Design For Organizations draws on industry and academic experience to teach a more practical, adaptable, and scalable form of service design to design better services. 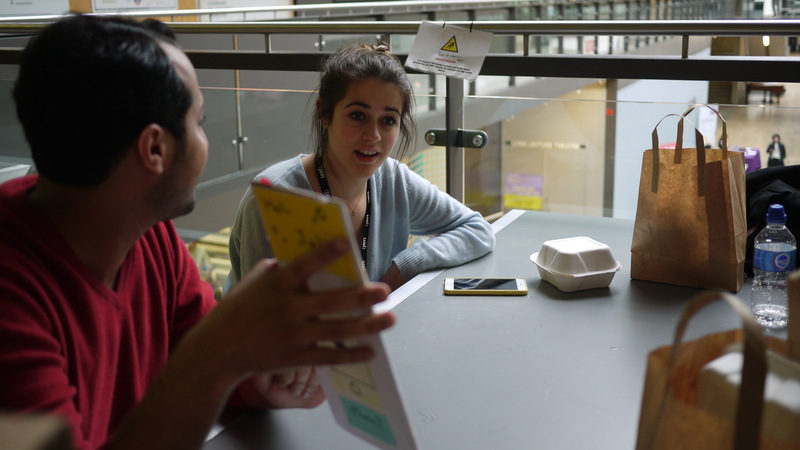 A workshop built on the principles of experiential learning, it aims to bridge a gap between how service design is taught and how it is applied within the reality of complex organizations. Service Design is able to measurably improve the value of organizations and their services, helping to generate memorable customer and service experiences. Introducing design into work environment implies changes that will present constraints and obstacles. 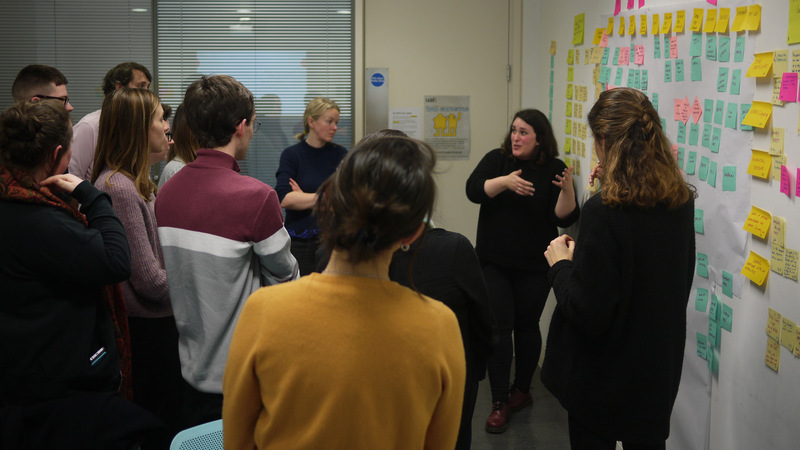 The program of the course is designed for young and seasoned professionals, keen to learn how to introduce Service Design practices in their workflows and to their teams or department. 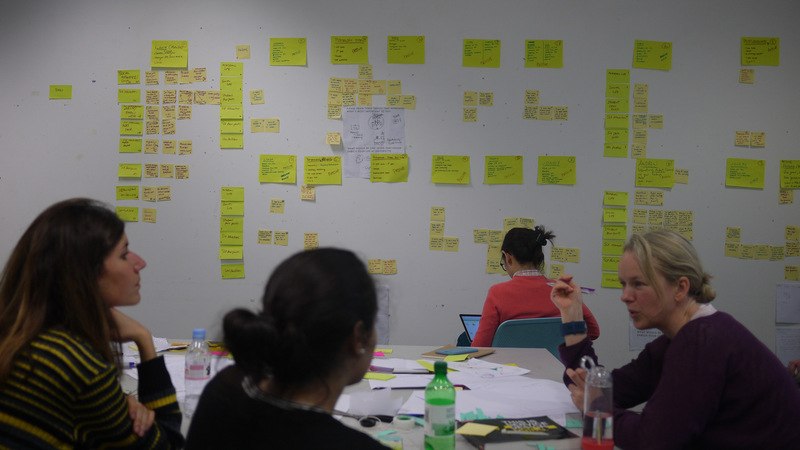 WHY SERVICE DESIGN x ORG? The 3 day course delivers a more practical focus on organizational service design teaching a framework, participants will be able to use and introduce service design within their organizations. The course will also feature guest speakers from the industry that will share best practices, latest trends and focuses on cutting edge subjects. 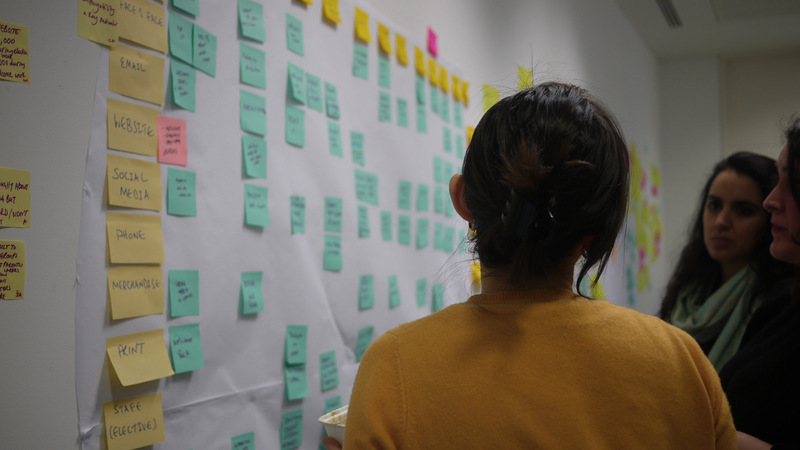 Over the three days, participants will be guided through a specially designed service design workflow that will bring them from challenge to tested service opportunity. 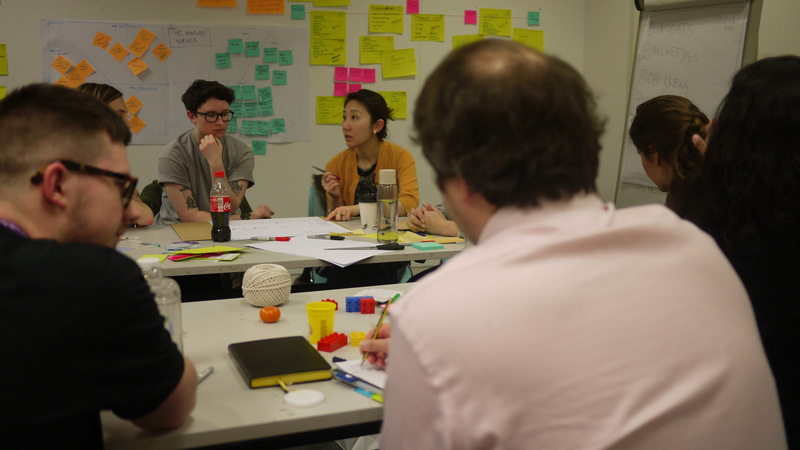 On day one you will get an introduction to service design for organizations and receive your first challenge case. 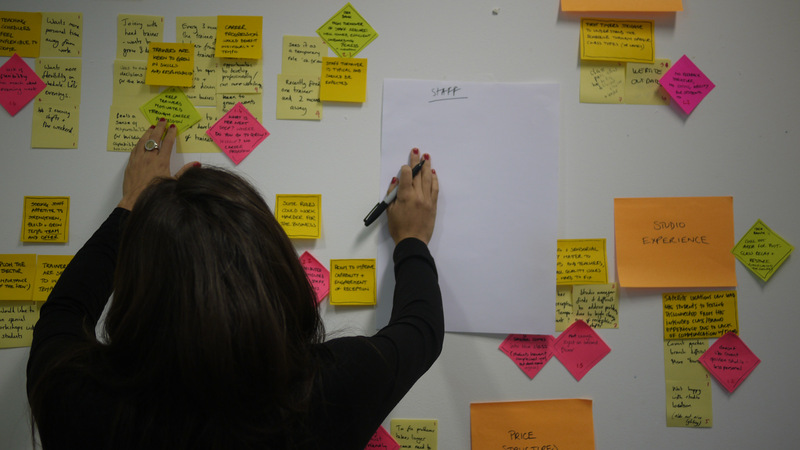 Use the insights from the blueprint to develop a user research guide, and conduct user research. We will then explore how to use these outputs as a framework to generate new grounded opportunities that connect research to action. 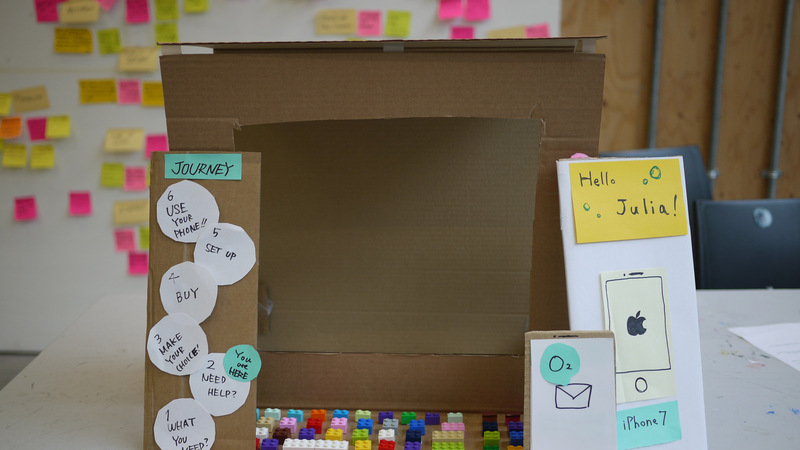 We will use service prototyping to bring opportunities you discovered to life and begin to iterate upon the service. We will also introduce how these scenarios can be used to connect to agile processes through user stories. // The principles & practices of user research, opportunity identification & generation & service prototyping by learning tools such as archetypes, customer journeys and storyboarding. // Hands-on experience and knowledge with a service design workflow, specially designed for the course. // Recordings, materials, templates and a specialized course booklet, that will allow you to bring the practices and leanings back to your organization. Students and Teams tickets of three or more people will receive a 20% discount. 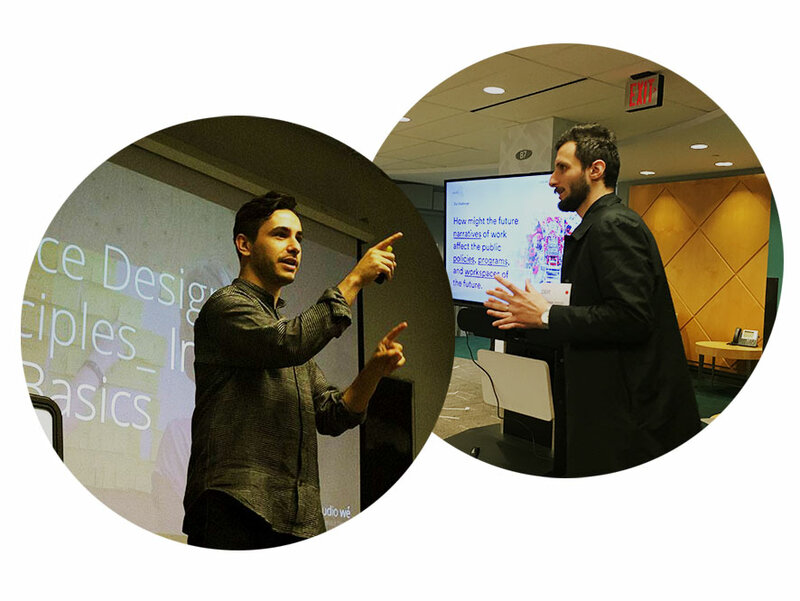 The course is led by Antonio Starnino and Antonio Iadarola, co-founders of Studio Wé and leaders of the Service Design short course program at Central Saint Martins in London, UK. It has also been offered to ministries of the Ontario Government and a number of private sector organizations and startups within Europe. 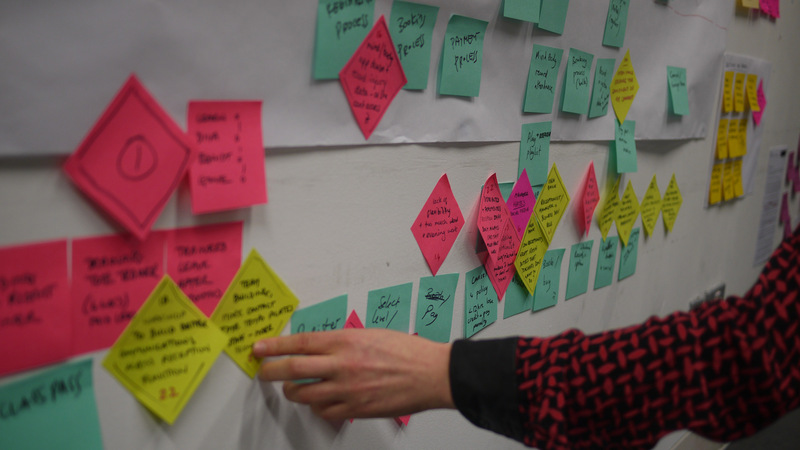 Service Design x Org is facilitated by Studio Wé an experimental design practice based in New York & Montreal working with progressive organizations to shape their future of work.